Occasional rain. Low 41F. Winds N at 5 to 10 mph. Chance of rain 90%. Rainfall around a quarter of an inch.. Occasional rain. Low 41F. Winds N at 5 to 10 mph. Chance of rain 90%. Rainfall around a quarter of an inch. CORVALLIS — His last words were, "I am riding off into the sunset." His hospice nurse responded by singing a couple of bars of "Happy Trails". A few hours later he passed out of this world. 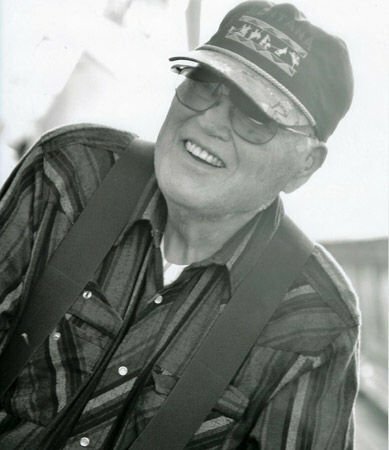 Richard Hawkyard was born in Hallock, Minnesota, on June 11, 1937, as the only child of Harris and Edna Hawkyard. His family moved to southern California in 1941 where his grandparents had settled. They moved around a great deal. He spent high school years in Calexico, California. He received a baseball and football scholarship to University of Redlands. He chose football to play and history as his major. The next year he went to the University of California at Riverside where he met his wife Priscilla at the campus Christian center. He returned to graduate from the University of Redlands and later began his teaching career as a fifth-grade teacher. Rick and Priscilla married in 1958 and by 1964 they were joined by three daughters, Barbara, Cynthia and Renee and always a dog and a cat or more. His love after family was traveling. Each summer vacation, the family traveled. The trips took them across the U.S., Canada and Mexico. Initially by van and later by long distance bicycling including their first bicycle trip which took them from South Bend, Indiana, to Syracuse, New York and back. The family bike trips culminated with an eight-week trip in Europe. The following year, Rick and Priscilla on their own, bicycled from the Golden Gate Bridge to Rhode Island. Rick enjoyed many activities in addition to traveling: bowling, learning to fly, golfing, oil painting, building a sailboat, cross-country skiing, ham radio, photography and exploring the desert. Music was an important part of his life, He sang in church choirs including the Riverside (CA) Master Choral and Bitterroot Community Choir. He also played the mandolin and the accordion. In addition to singing in the church choirs, he was also involved in lay activities. While in Riverside he was instrumental in the creation of Project Food (feeding the poor) at First Congregational Church and also the Pilgrim Peddlers (a bike riding group). After a couple of years teaching as an elementary teacher he moved to Bloomington Jr. High teaching social studies. He was awarded a National Science Foundation scholarship to Western Michigan University where he studied math and science. That led him to teaching those subjects at the Jr. High. During those years he also was elected president of the teacher's association and delegate to the California Teacher’s Association and National Teacher's Association. His final years before retirement were as a Resource Teacher including administering the bilingual program and Title I. Retirement at 55 led him to Montana where he already had purchased a five acre property that became Cheval De Bois Ranch where he and Priscilla raised New Forest Ponies. Rick had dreams. He made them happen. Rick is survived by his wife, Priscilla; his three daughters, Barbara Hawkyard (Jim), Cindy Sever (Bruce) and Renee Abboud (Bill); his grandchildren, Nicolle, Alex, Maddie and Kate; and great-grandchildren Makenzie and Lucas. Funeral services will be held at 4 p.m. Sunday, March 24 at the Corvallis United Methodist Church with Pastor Shannon Mayfield officiating. Private urn placement will take place at Grantsdale Cemetery at a later date. Condolences may be left for the family at dalyleachchapel.com.